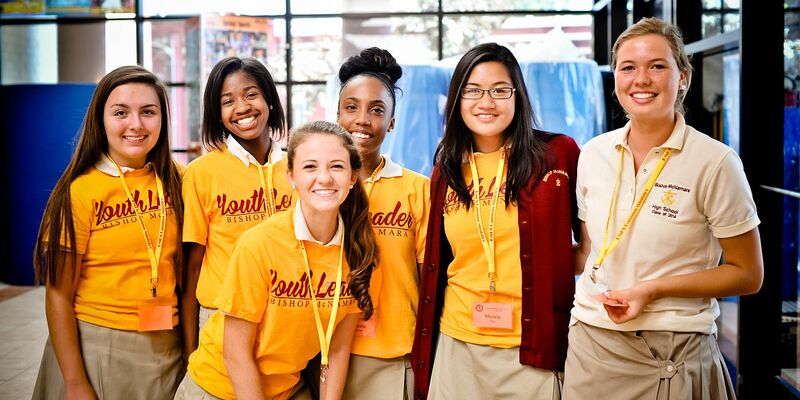 One of the most visited places on the Bishop McNamara campus is by far the bookstore, also know as the Mustang Shop. In a new feature series called "What's Poppin", this popular area is highlighted with the help of Acacia Crockett Oliver '19. 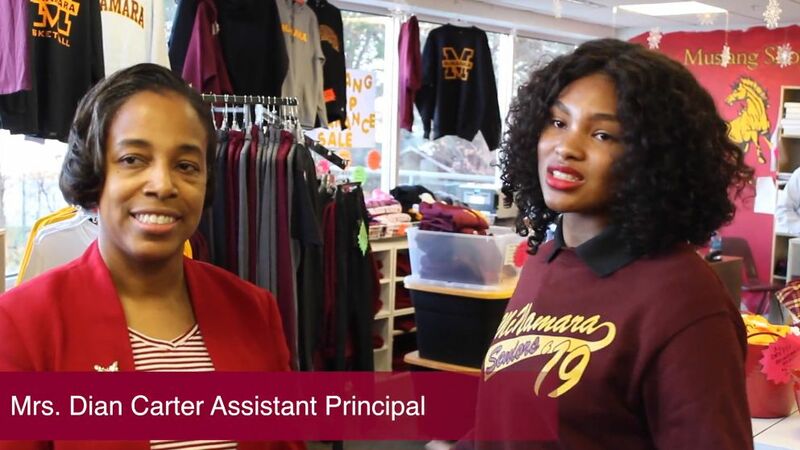 She caught up with Assistant Principal & Bookstore Supervisor, Mrs. Dian Carter, to talk about the new clothing items, the accessories to compliment your active wear, the addition of the new bookstore manager, Mr. Brennan Connelly, and the extended facility hours for the McNamara community to get access to books and apparel. She even shared which item is her favorite in the Mustang Shop. Videography and editing by Dillon Fitzgerald '19; produced by WMAC Moderator and Emmy award-winning broadcaster, Mr. Lou Holder. For more of what is going on with our students, faculty and staff at Bishop McNamara, go to www.BMHS.org/MacMedia.